Posters, Flyers, Brochures, and More! Materials can be customized to include information specific to your company. Contact Samantha Young to get started. Please contact our office before beginning to plan your campaign. Use our marketing materials above to promote your campaign. Keep United Way of Will County informed of your activities and progress. If you receive check donations, record the donation and then please turn checks into our office as soon as possible. Holding onto checks can throw off your employees bank accounts. Each plan is interactive and customized to your business’ goals and objectives internally and in the community. checks can throw off your employees bank accounts. We invite you to increase your impact by giving a financial or in-kind gift to United Way of Will County. Please work with your United Way of Will County contact for more information on giving a gift from your business. United Way of Will County would be pleased to send staff representation to your check presentation! We accept most in-kind donations and we can provide receipts upon request. Email Loren@uwwill.org for more information. With our wide network, the reach and recognition potential with a sponsorship is significant. Various sponsorship levels and types are available. Unique opportunities are available spontaneously. Join our sponsorship email list to stay updated. Ask your United Way of Will County Contact for sponsorship opportunities. These sessions focus on providing a deeper look at Community Impact, Corporate Social Responsibility, United Way of Will County, and the Will County community. Other topics can be requested to fit the specific interests of your Corporate Social Responsibility plan. 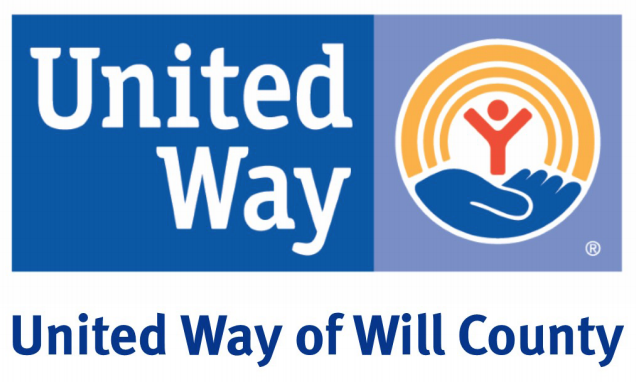 Ask your United Way of Will County Contact for lunch and learn opportunities. Ask your United Way of Will County Contact for FamilyWize cards. Cultivate new relationships and strengthen old ones in the workplace by volunteering as a team. There are many opportunities around Will County to spend days, afternoons and nights with fellow co-workers and give back to the community. Don’t see what you’re looking for on our online volunteer center? Opportunities to work with us or our partners on our identified community needs can also be arranged through our office. Ask your United Way of Will County Contact for more information. *Please note: A budget may be required for some opportunities.